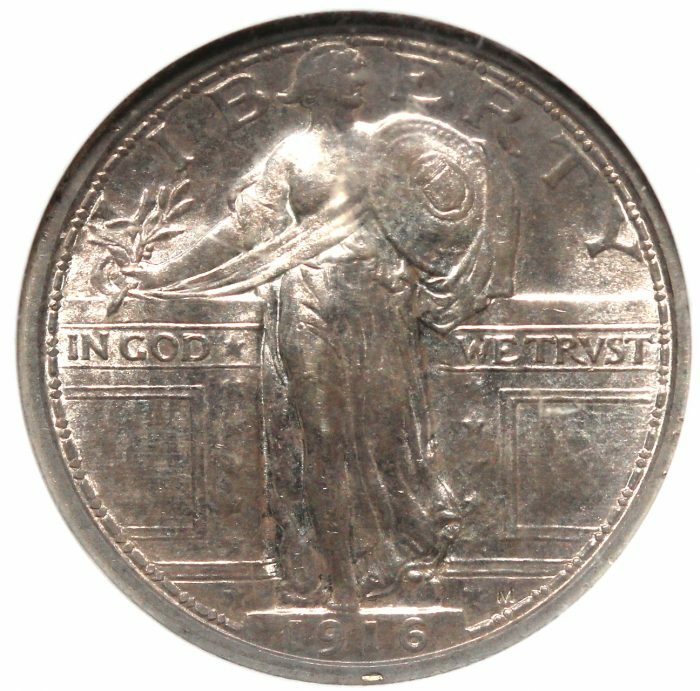 Minted from 1916 until 1930, the Standing Liberty Quarter was designed by Hermon A. MacNeil. Liberty?s right hand contains an Olive Branch whose meaning is the willingness to be peaceful, while the shield on the left arm represents the willingness to defend. Later issues from 1925 changed the date to a recessed strike to reduce the amount of wear previous issues had in that area.